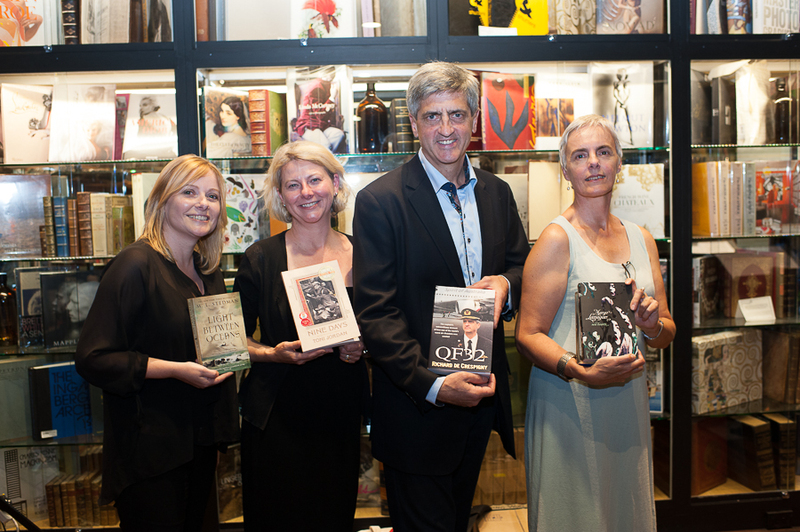 Sydney, Australia, Monday, 25 March 2013: Tonight at Berkelouw Bookstore, Paddington, the independent booksellers of Australia announced The Light Between Oceans by M.L. 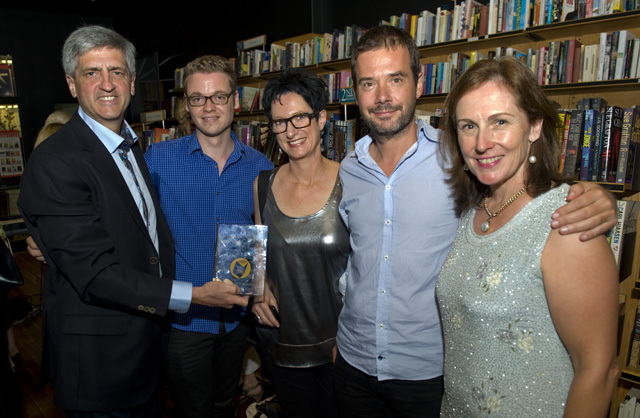 Stedman as their favourite Australian book from last year and the winner of The Indie Book of the Year Award 2013. 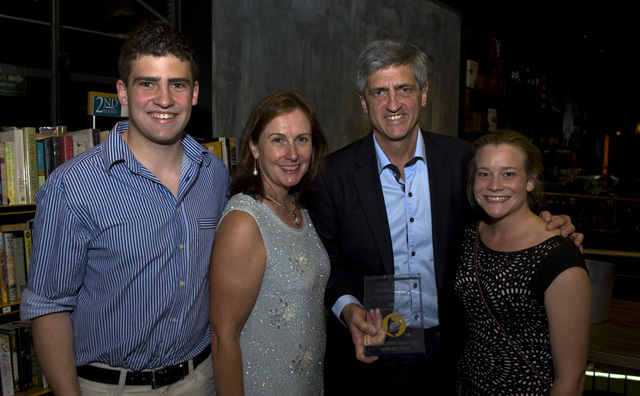 The individual category winners in Fiction, Debut Fiction, Non-Fiction and Children’s & YA were also announced. 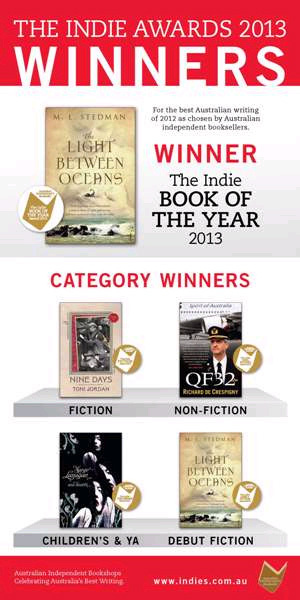 From these four category winners the independent booksellers selected the best of the best – The Indie Book of the Year for 2013. Voted on by the independent booksellers of Australia, the Indie Book Awards have a proud tradition of picking the best in Australian writing. All of the previous winners (Breath by Tim Winton, Jasper Jones by Craig Sylvie, The Happiest Refugee by Anh Do, All That I Am by Anna Funder) have gone on to win other major literary awards. M. L. Stedman was born and raised in Western Australia, and now lives in London. The Light Between Oceans is her first novel, and so far has been translated into nearly thirty languages. It is a bestselling book around the world, including Australia, Italy, Denmark and America, where it reached No. 4 on The New York Times hardback fiction list. Recently it was long-listed in the UK for the prestigious Women’s Prize for Fiction (previously known as the Orange Prize). Judges: The lucidity of Jordan’s prose and her confident hand ensures that this somewhat complex structure never intrudes on the narrative flow or interferes with the reader’s enjoyment of the threads that weave a family’s history. This fine novel captures an essential element of Australian life, demonstrates her growth as a writer and leaves us waiting with anticipation to see where her muse takes her next. Tony Jordan: I would never have had the opportunity to write Nine Days without the support that Independent Bookstores have given me over the course of my career. The encouragement they provide to new Australian authors is irreplaceable. Without Independent Bookstores to nurture and engage readers, our vibrant, distinctively Australian voices and stories might well be lost. Judges: Like an aeroplane setting off down a runway, this book slowly gained momentum and then it took off! A great blend of technical data and concise blow-by-blow detail had me gripped. At times, I felt the anxiety and adrenaline like I was there in the cockpit. Even though you know how the story ends, this is a fascinating read for anyone who’s ever been on a plane. 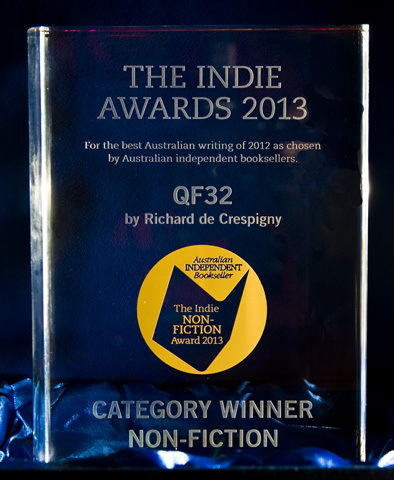 Richard De Crespigny: It’s an honour to have QF32 shortlisted for the Indie Award. 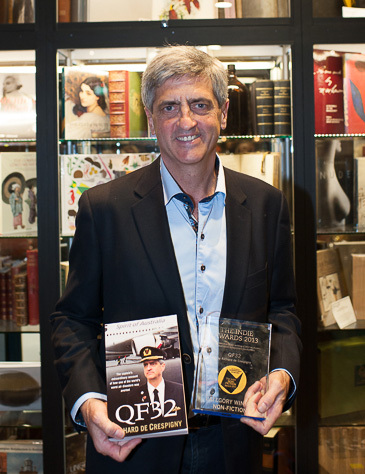 Just as much as my passengers trust and enjoy the services and experience that comes with a value added airline, so I value the Independent Booksellers that remain a vital and essential part of our community. Thank-you for your wonderful championing of my story. QF32 would not have been a success without your support! Judges: Arresting and elusive in almost equal measure, the experience from beginning to end is like a dream that feels as real as it is bizarre, and one you can’t quite trust yourself to interpret fully – it’s there but tantalisingly out of reach until you stop reading and begin to coldly analyse it. Sea Hearts pulls no punches. It’s brave, clever, mysterious and beautifully written. If you think you’re not a fan of Fantasy, Sea Hearts is the book that will change your mind. Margo Lanagan: Independent booksellers do what all booksellers should: you know your books and you know your customers, and you match the one to the other with skill and enthusiasm. You ARE word of mouth, the most important factor in any book’s success. Judges: The Light Between Oceans is a beautifully descriptive and powerfully told novel. The setting is memorable as the author has deftly captured the qualities of the light, the ocean, solitude. The writing has a luminous quality to it and the remarkable plot kept me in suspense. I found it to be a very heartfelt and gut-wrenching story and at times I was reading it with tears streaming down my face. It is the sort of book that stays with you. Great news – QF32 definitely my most suspenseful read for the year, not to mention a happy ending to what could have been a terrible disaster. Also The Light Between Oceans, I loved this book too. I believe that, once in a while, we may say “congratulations” in French, and certainly at such an occasion as an award winning author. And yes, glad to know that there are still “pilots” on board ! Congratulations, a very well deserved award! Congatulations Richard! QF32 was an un-put-downable read. A worthy winner.